States across the nation are working to decrease the number of motorcycle-related deaths and injuries by encouraging helmet use. A law requiring motorcycle riders of all ages to wear a helmet is in place in 20 states, including California. Other measures that states are taking to reduce motorcycle-related deaths and injuries include training police to identify impaired motorcyclists and increasing high-visibility drunk driving enforcement, enforcing speed limits, making rider training more accessible, and educating drivers about sharing the road with motorcyclists. Keep headlights on at all times. Wear bright clothing or reflective strips to improve others’ ability to see you. Before passing, stay four seconds behind a vehicle, check oncoming traffic from the left side of lane, signal intention to turn, and then check for oncoming traffic before passing. Wear helmets that meet a high protection standard. Wear proper clothing, eyewear and sturdy, closed-toe footwear. Always assume people in cars do not see you. Avoid riding in blind spots of other vehicles, particularly large trucks. Adjust riding for poor weather or road conditions by reducing speed and choosing the safest path. Be extra cautious on weekends, when more motorcyclists are on the roads. Provide motorcyclists adequate room to maneuver. Follow at least four seconds behind them. Allow extra maneuvering room in areas with potholes, pavement changes and railroad crossings. Motorcyclists may need to slow down, stop or adjust their lane position. When a motorcycle is nearby, check your mirrors before changing lanes. 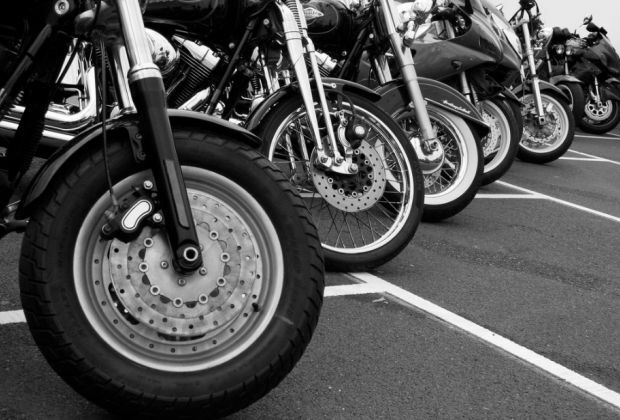 Motorcycles may be in your blind spots or difficult to see because of their smaller size. Use extra caution in intersections. Most crashes occur when a driver fails to see a motorcycle and turns left in front of it.Be aware that in California, motorcyclists can “split lanes” and pass vehicles in the same lane. Adjust your vehicle position in the lane to allow the motorcycle to pass. Avoid distractions. Motorcycles are small and easily missed by a distracted driver. The Automobile Club of Southern California, the largest member of the AAA federation of motor clubs, has been serving Southern California since 1900. Today, the Auto Club’s members benefit by roadside assistance, insurance products and services, travel agency, financial products, automotive pricing and buying programs, automotive testing and analysis, trip planning services and highway and transportation safety programs. Information about these products and services and the AAA Mobile App is available on the Auto Club’s website at www.AAA.com.